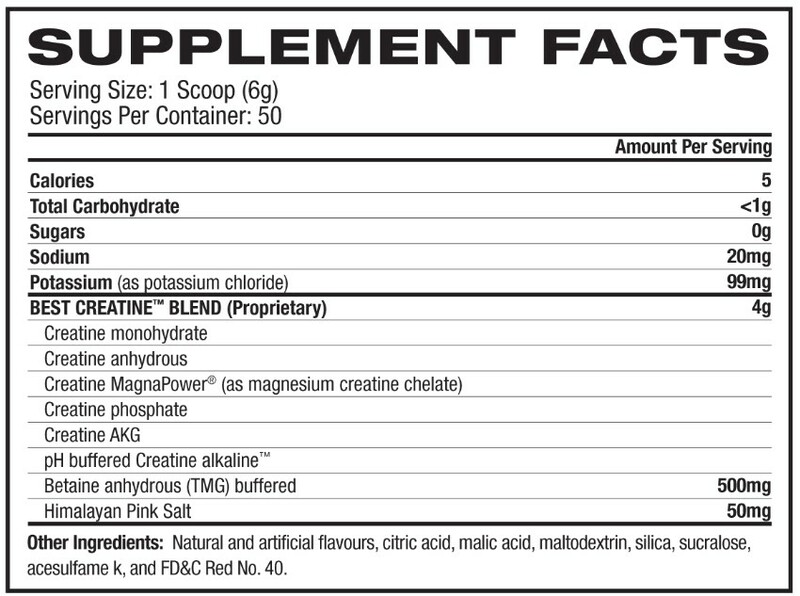 Professional strength muscle building supplement containing 6 advanced forms of creatine for increased strength, muscle gains, and recovery. MUSCLE BUILDING - Enhances performance in the gym allowing you to go harder for maximum muscle and strength gains. ENERGY & STAMINA - Aids in cellular hydration allowing you to train for harder and longer with a delayed onset time of fatigue. RECOVERY - Easily and rapidly absorbed for muscle growth and recovery – and non-bloating! STRENGTH BUILDING - BEST CREATINE™ enhances your body’s capacity to work harder and lift heavier when performing high intensity exercises.